Loretta Glickman was a jazz singer and toured with the New Christy Minstrels before retiring from the entertainment industry in 1975 to start a family. In 1977, she became the first black woman elected as a Pasadena city director. Four years later, she became the city’s first black vice mayor, before becoming mayor in 1982. 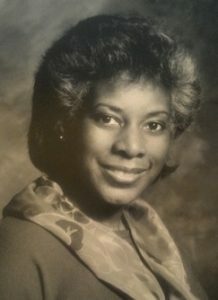 The money for the Loretta Glickman Endowment fund for African-American Youth was raised by a group of friends in Pasadena who gathered to celebrate her life in 2001 after her sudden passing. These funds will now be used to seed an endowment at the Pasadena Community Foundation that will pay tribute to Loretta Glickman in perpetuity. The fund will distribute annual grants to help African-American youth.